'My name is Semiye Michael. I have a team that travels to the remotest villages in FCT Nigeria to write the unwritten stories of children with no access to education. We come back to the city to solicit fund from friends and families to educate these children. As a field supervisor for an international organization, my duty back then was to travel to interior rural villages in Abuja FCT for rural farmer’s support. I was shocked to my bone when I saw the kind of life that exist in the communities under my jurisdiction. The state of human life in most of these villages is nearly unbearable, leaving one to keep wandering about the wanders of God in keeping those living there. No access road, no portable water, no good food nor any modern life support facility. Sadly, children in these rural villages don’t have access to formal education because of the high level of poverty and illiteracy that are visible in these villages. Parents here will not for any reason want their kids go to school talk less of paying a penny as school fees. The sad story behind the whole of my experience is that these whole situations are happening right at nation’s seat of power; Abuja FCT. The presence of OneKidProject in these communities has brought about a considerable level of improvement. I must also confess to you that we are not near any pass mark as hundreds of these kids may never be able to go to school if no one will care to show kindness unto them. This also explain our reason for writing our stories continually and telling it everywhere we go. May be the government have their reasons to deliberately postpone the days of rural development in this part of the world, or perhaps it is an oversight. 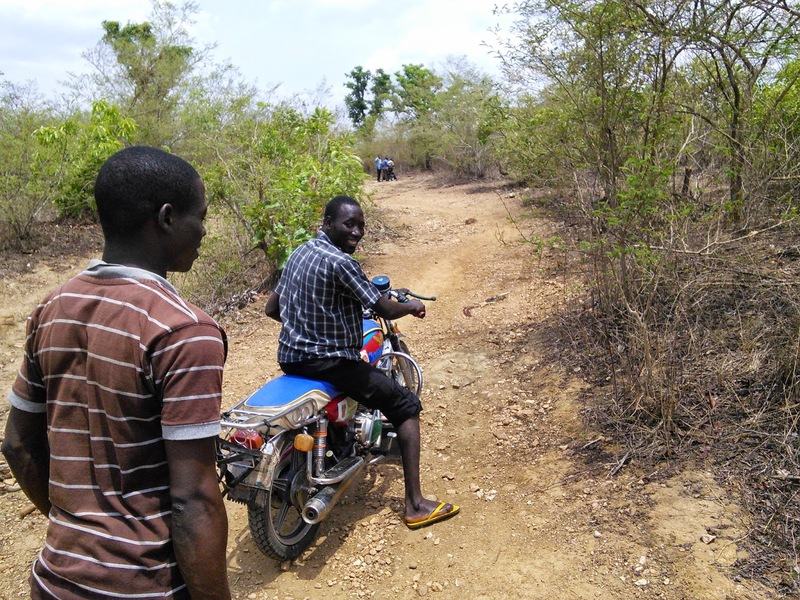 Whatever the story is, the terrain of these communities can provide an insight into why both individuals and government agencies may not find it so appealing to work in so many of the rural villages we have in Nigeria. My first question was why groups of people will chose to live so far away in thick forests where road construction will be near impossibility. This villages are under Abaji Area Council of Abuja FCT, Nigeria. Interestingly, these villages have a good human population that ordinarily should attract social values. People living in the villages are predominantly farmers and always blessed with bumper harvest, only that their farm produce can’t find a way out of the villages due to what we can honestly refer to as “total disconnection from access road”. Culture is explained to be the reason why people will prefer to continue dwelling in these type of places. I have come to accept and respect these people’s culture. Our drive for inclusive development must therefore fuel our passion to taking courageous steps that will re-write the ugly stories in our rural communities. Understanding the psycholgical needs of the children in the rural villages was a task our team had to quickly learn how to handle. The parents here have created high level of hatred in the heart of children as regards school. This we need to work on and change. We succeeded in the this area through the introduction of one-on-one and group play activities with the children. There are also special cases of children that have outgrown preliminary learning age and have never been to any form of learning center. Some of these type of children possess great skills traceable to inborn traits but cannot communicate to anybody outside their communities, simply because of language barrier and with no ability to read or write. Faihiza Yusuf is 13 years with no ability to read, write or speak English. Faihiza led her friends to receive us in her village and in few minutes, she has arranged chairs and tables for us. I asked her several questions but all she did was smile back. A lady who had visited the village on holiday later told us that Faihiza is known by the villagers as the most intelligent girl in the village, but she cannot read, write or speak English. She only speak her mother tongue; Gbagyi. At her age, learning becomes a bit difficult but One Kid Project had to develop a system to support the likes of Faihiza and we did came up with a system currently being tried. Parental understanding is yet another hustle as we keep moving into new villages. Some parents displays a level of hostility that tend to frustrate whatever effort we put place. But what needs to be done must be done. The story of One Kid Project is that of an impossible beginning that has translated into a progressive journey of HOPE. The project with all the challenges now has over 50 kids in different villages directly enjoying from its full scholarship program, while several others have received the support of their parents who once never wanted to hear about children education. This project is primarily focused on children in the rural communities. Our team travel to the remotest villages in Abuja FCT to; Write the story of children challenge, Identify the most vulnerable kids, Source fund to educate the kid, Educate parents on children’s education and total child’s care'. It is amazing to learn about the One Kid Project interventions started by one man who was touched by the state of these communities and their children. Abuja is located in the same Federal Capital Territory (FCT) where these children are located. In the midst of affluence, lies children in poverty, lacking access to school.